AMMONNEWS - Describing herself as a American patriot, Angelina Jolie spoke out on Friday in favor of US engagement in the world, in an address at the United Nations that contrasted with President Donald Trump’s views. “I’m a patriot. I love my country and I want to see it thrive,” Jolie told the gathering at the General Assembly. The United Nations was set up to find ways of resolving differences peacefully and “it is all in our interest for the UN to be made effective, brought closer to the lives of citizens, and not ever misused,” she added. 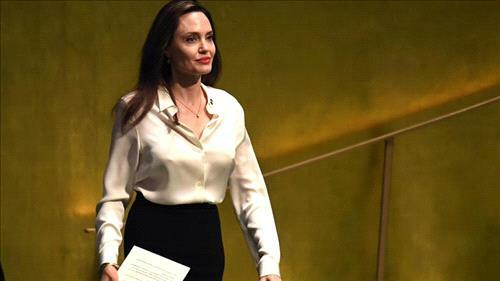 Jolie’s praise for the United Nations stood in contrast with the disdain US President Donald Trump’s administration has shown the world body. The award-winning actress made an appeal for increasing the number of women peacekeepers in UN missions.